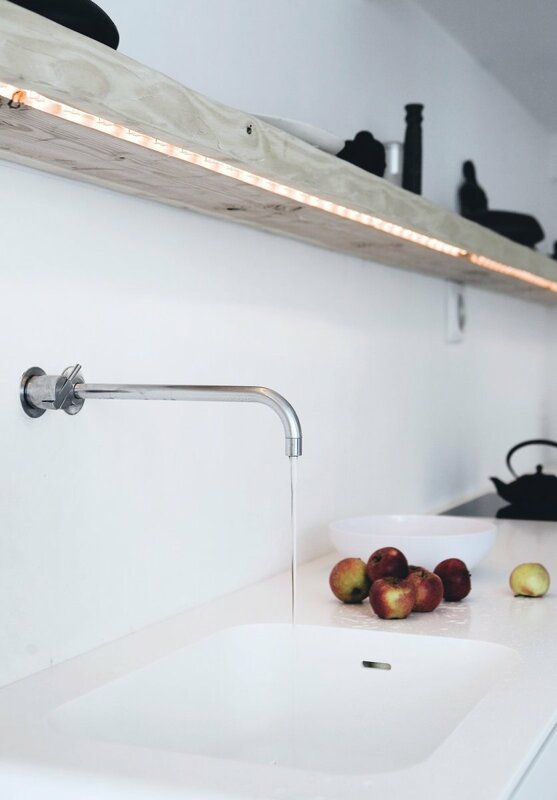 Corian kitchen countertop enhanced by an old wooden floating shelf with a line of recessed lights. Project VedbÃ¦k House I in Copenhagen, Denmark, designed by Norm.Architects. Photographed by Jonas Bjerre-Poulsen.